Chef Gabriel Lightfoot is not the most likeable of protagonists. When a kitchen porter is found dead in the bowels of the hotel where he works, Gabriel’s life plummets steadily. He’s cheating on his partner, resenting his dying father and struggling to tolerate his kitchen staff. I absolutely loved Ali’s debut Brick Lane as the characters and world she’d created were so plausible – the imagery and use of language fitted so convincingly with the main character struggling to find her way in London. 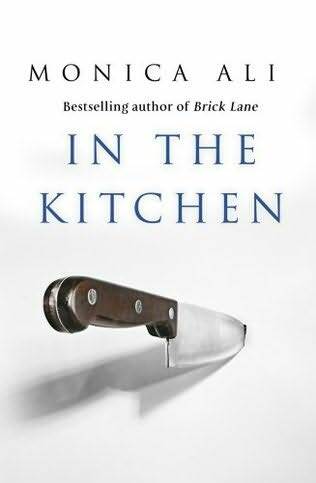 Although In the kitchen didn’t grab me in quite the same way, it was a good read with some humourous moments. Things turn out ok for Gabe in the end but, because I found him hard to connect with, I could easily have left him wallowing in his own messy circumstances.